If you’ve ever driven through a neighborhood and found yourself impressed with the beautiful stone on the front of a home, you’re certainly not alone. This is called cultured stone, and many people forget it’s a consideration when they are in the midst of planning a wonderful landscape project. This is a technique used to cover exposed concrete in the foundation, or even just to add a bit of visual interest to someone’s home. 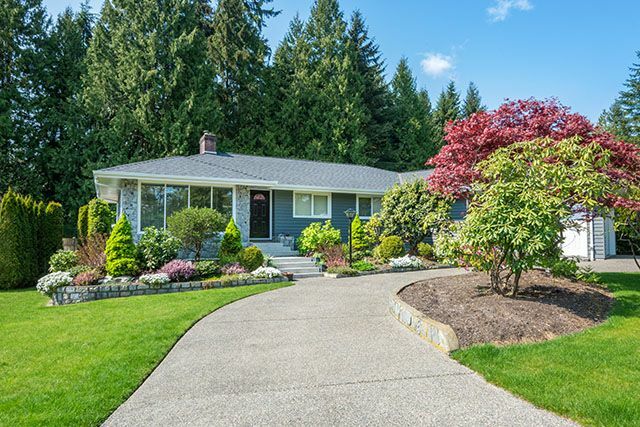 It’s a perfect addition if your new landscape design shows off a bit of the concrete on your home where old landscaping was stripped away. Rather than living with the unsightly concrete in view or paying for a contractor to come out and correct this issue, let us help you handle the problem affordably and stylishly. 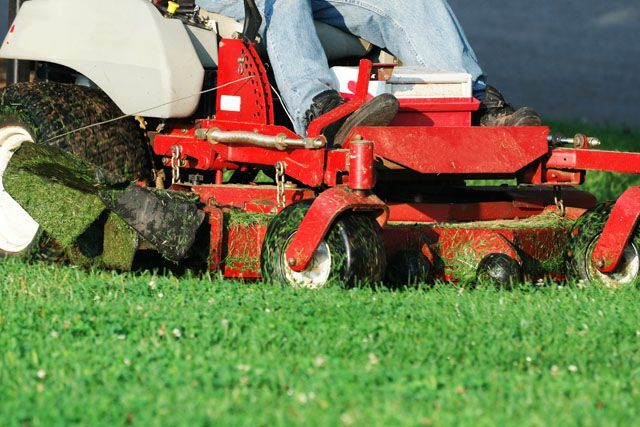 At A Great Choice Lawn Care & Landscaping, we have more talent staffed than you might imagine. Our team of highly trained and certified landscape architects includes team members with the knowledge and experience it takes to add cultured stone to any home with ease. Whether you need cultured stone to mask imperfections or to add a bit of aesthetic appeal to your home, we’ve got you covered – literally. What Is Cultured Stone Used For? Perhaps you know it as stone, and that’s not abnormal. Many people forget stone has its own unique name, and the kind we use is cultured. This type of stone is strong, hearty, and it withstands all kinds of weather and other conditions. There’s no limit to what our professionals can do with cultured stone. We can take your home and turn it into something far more beautiful, and you might not even imagine it’s possible. Manufactured stone is another common term for cultured stone. It’s not natural stone, but it is manmade stone. This makes it more affordable, durable, and easier to install. The beauty of cultured stone is that it’s available in any design, color, shape, and style you can imagine. If we don’t have the cultured stone you want in stock, our team is happy to find what you want and get it ordered immediately so you can have the stone look you’ve always desired. Cultured stone is made of something called a composite material. This makes it very light and nowhere near as heavy as real stone. This makes it beneficial in more ways than one. We’ve discussed that it’s lighter than real stone, which is where the first benefit is. Where special permits, additional materials, and different construction are often required to handle the weight of real stone on many home surfaces, cultured stone is so light it can be applied to any wall or surface without any additional materials or permits. Weight isn’t an issue, which means our cultured stone doesn’t pose any harm to any surface. It’s lighter, and it’s also more affordable. Because it’s much more affordable than regular stone, it’s possible you can use more of it, upgrade to the stone you want, and it’s saves you labor costs since we can install it quickly and with less mess. Finally, you won’t need to pay additional fees or spend ample time waiting on your stone to arrive. May natural stones are found only in specific regions, which means it’s not easily accessible where you live. It’s heavy, it requires additional work, and it means waiting. Cultured stone arrives quickly, installs fast, and the finished is the perfect addtition to finish off your landscape restoration project. If cultured stone is something that intrigues you, call us today at (607) 729-3451 to discuss your options. Our team of experts will discuss what you can do, how the process works, and what we can offer. We’ll bring you in to look at the many different stones we have in stock, go through photos of our previous work, and we’ll help you decide what looks good where on your home. Whether you need exposed concrete covered up or you’re in the process of building an outdoor fire place or kitchen, our team is here to assist you in any way possible. We’ll take your dreams and turn them into a reality. You can also fill out our online estimate for a free quote. Don’t want any longer to call; it’s only delaying the completion of your gorgeous new addition.